For Microsoft, Nokia's Phones Are 'Key To Everything' : The Two-Way Microsoft is spending $7.2 billion for Nokia's mobile phones business. The thinking, analysts say, is that to succeed in other areas — tablets and PCs — Microsoft needs to build its Windows Phone business. That's a Nokia Lumia 820 smartphone snapping an image of a Windows icon. Here's why Microsoft says its $7.2 billion deal to buy Nokia's smartphone business as well as that company's patents and services makes sense. "It all starts with the phone," writes PCWorld, in a piece that analyzes why "the phone is key to everything." "In its 'strategic rationale' explaining the deal, slide 15 of Microsoft's presentation makes the case that the foundation for Windows PCs begins with Windows Phone. ... 'Windows: 300M+ devices a year,' the slide notes. 'Success in phone is important to success in tablets. Success in tablets will help PCs.' "
"Microsoft had little choice. Nokia controlled Windows Phone distribution and the companies were so integrated they might as well be one unit. 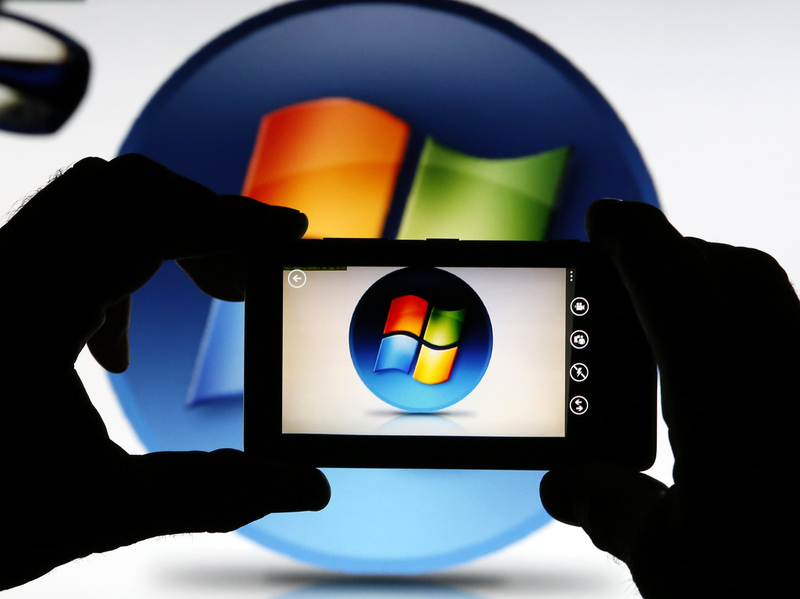 With Nokia, Microsoft can now put Windows Phone on low-end devices to gain share." "Then again, this deal doesn't necessarily need to change everything to be worth a try. Microsoft has plenty of cash, and the cash it's paying Nokia consists of overseas profits which it wouldn't otherwise bring home to the U.S. for tax reasons. Windows Phone is currently a struggling number three in the smartphone platform wars; if it ends up a healthy, competitive number three, Microsoft might be happy it spent the money. "In other words: If the deal ends up looking even modestly successful, it'll have beaten the historic odds."